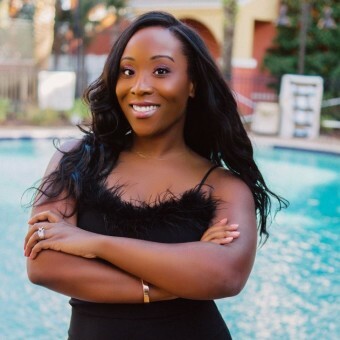 Posted January 25th, 2016 by Ruthie Hawkins & filed under Fashion. 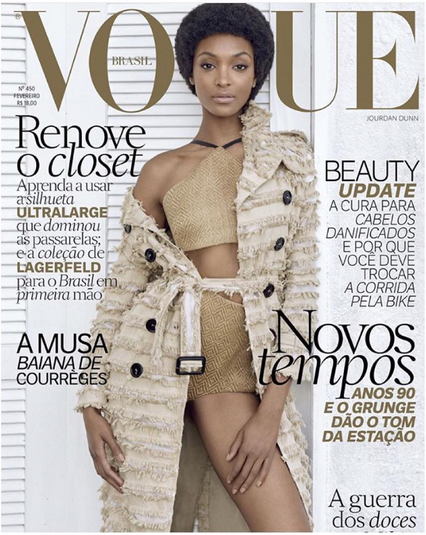 Jourdan Dunn has ditched her long, luscious coif and opted for a more natural look, on the cover of Vogue Brasil. Did we mention that the 25-year-old nabbed not one, but two February covers? 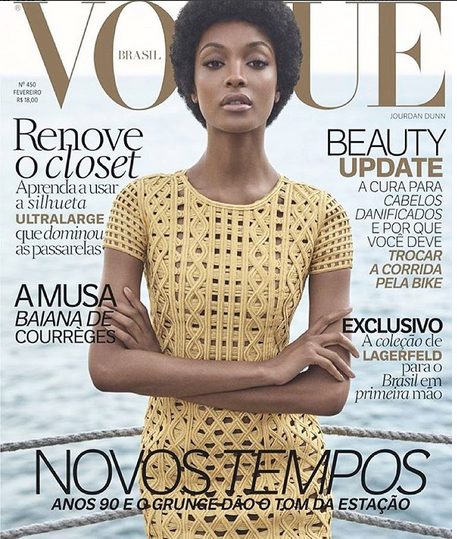 On the first cover, shot by Zee Nunes, the supermodel who was recently featured in U.S. Vogue’s Zoolander spread, is the epitome of a golden girl, donned in a pale yellow Burberry frock, while rocking a soft afro; perfectly complimenting her high cheekbones and full lips. On her follow-up cover, the long legged cat-walker sported a herringbone short set and a trench coat trimmed with fringe. 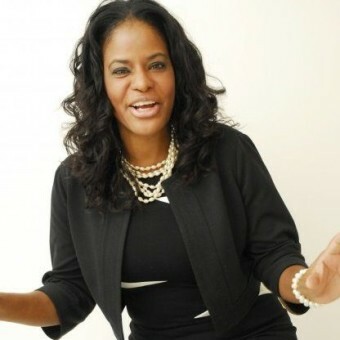 Dunn’s recent shoot is a stylistic departure from her famous ombré waves and black locks before that. But we have to admit, we love the direction she’s going in. In the pages of the popular high fashion magazine, the beauty talks about her love for Caipirinha cocktails drinks. Dunn’s latest work hits newsstands on Friday, January 29. Do you love it? Sound off in the comment section below.